close to the m1 metro station "EPFL". 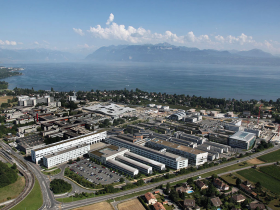 Aerial photography of the EPFL campus (2012). 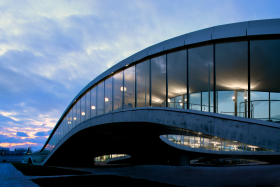 View of the Rolex Learning Center (EPFL).